MIDDLETOWN, Del. 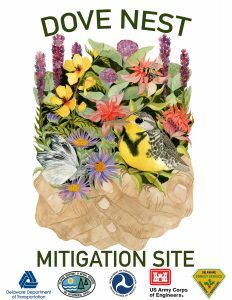 — State officials hope that a controlled burn on a 43-acre former farm field along U.S. Route 301 will provide fertile ground for “Delaware’s first pollinator mitigation site” – a place where native wildflowers will flourish and restore lost habitat for pollinators such as bees and birds. The Delaware Forest Service conducted the successful firing operation on March 20 in cooperation with DelDOT and DNREC’s Division of Fish and Wildlife, which supplied valuable personnel, logistical support, and equipment. Thanks to favorable weather conditions and DelDOT lane adjustments on U.S. 301 North, the four-hour burn caused minimal disruptions to traffic and virtually no smoke effects on the adjacent Spring Mill housing development. 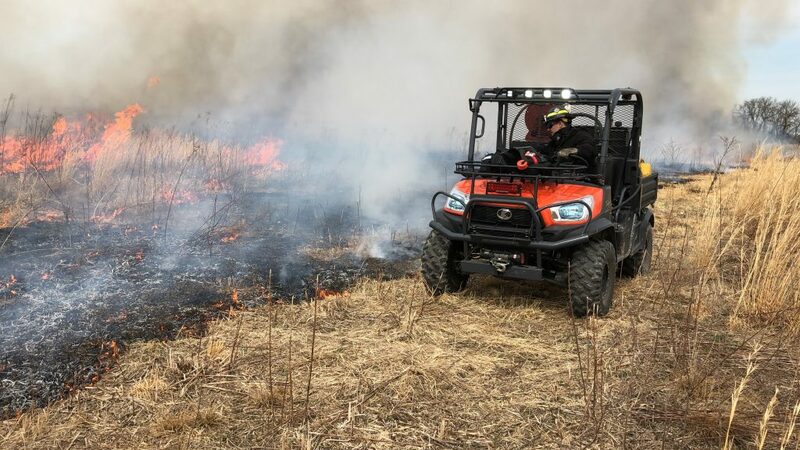 A “controlled burn” is a fire that is intentionally set for forest management or other natural resource goals and carefully monitored by trained firefighters and emergency personnel. 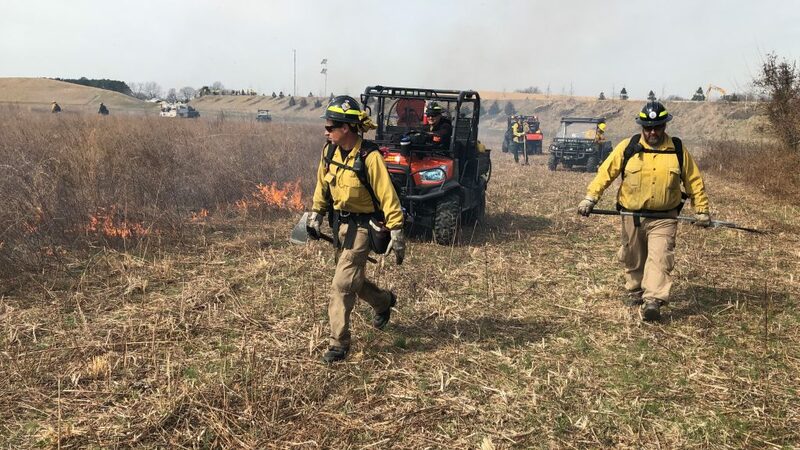 The Delaware Forest Service uses controlled burn exercises to improve wildfire response capabilities, increase staff training, and ensure equipment readiness. However, fire also helps achieve critical land management objectives. 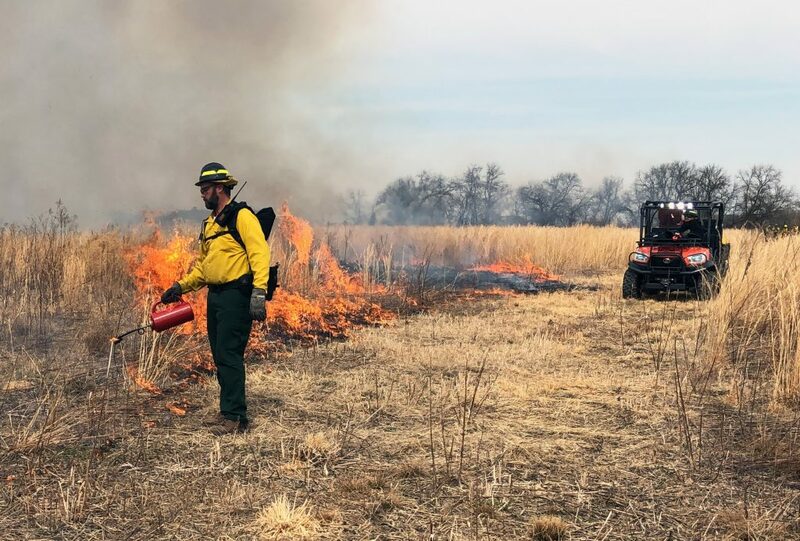 Controlled burns are an effective way to complete site preparation for reforestation and help remove undesirable invasive plant species. For the U.S. 301 project, planners concluded that fire was the best way to remove woody encroachment in order to create and maintain an “early successional habitat” favorable to pollinators. Conversely, if the site was simply left on its own, the area would likely revert to forestland over time. “The Delaware Forest Service was happy to participate in this multi-agency cooperative project to benefit pollinator and wildlife species along U.S. 301. 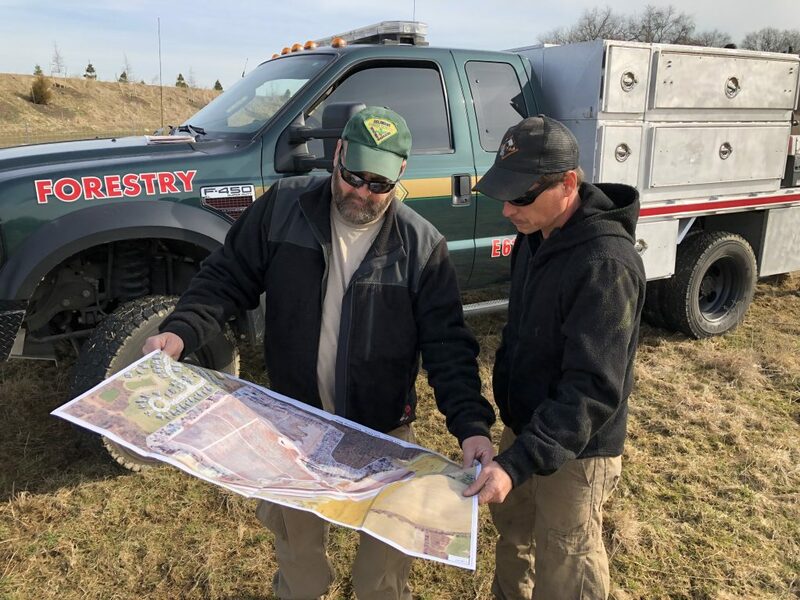 We hope that Delaware citizens and visitors to the First State will enjoy and appreciate this site for many years to come,” said Kyle Hoyd, Delaware’s assistant state forestry administrator who oversees its wildlfire program. DelDOT’s plans for the Dove Nest Mitigation Site noted that “pollinator diversity and prevalence have declined in the Middletown area over the past half century, due in part to lost habitat. Pollinators need native, flowering plants and places to lay eggs/nest. 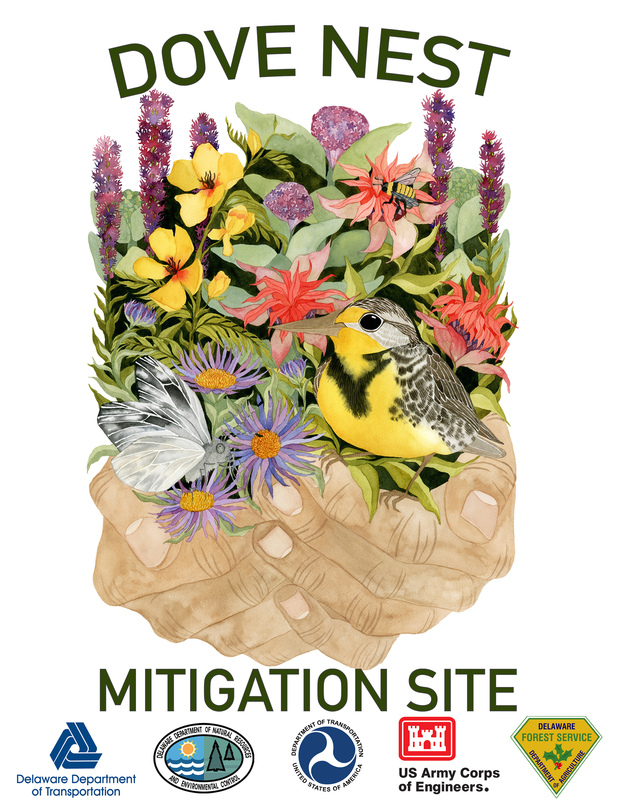 Many parts of Delaware that were once agricultural strongholds are rapidly being converted to residential uses, leading to fewer fallow fields and marginal areas, where many wildflowers grow.” That’s when officials began exploring plans to create a pollinator mitigation site. The Delaware Forest Service directed a successful controlled burn at a 43-acre farm field along U.S. 301 as part of site preparations for “Dove Nest,” a DelDOT project to create “Delaware’s first pollinator mitigation site.” DelDOT and DNREC Fish and Wildlife provided staff and logistical support to the burning operation. (From left) The Delaware Forest Service’s James Dowd and Samual Topper go over the final burn plan for the controlled burn along U.S. 301 near Middletown on March 20. 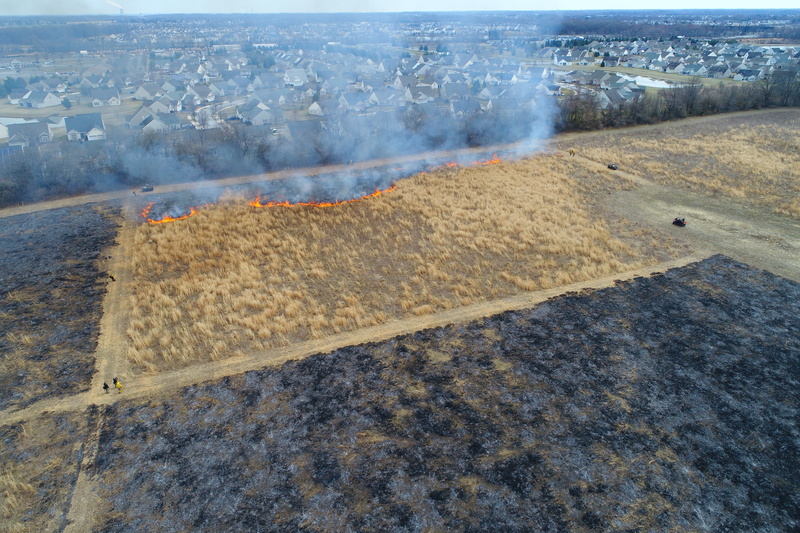 Favorable weather and cooperative support from DelDOT and DNREC Fish and Wildlife resulted in a successful burning operation. 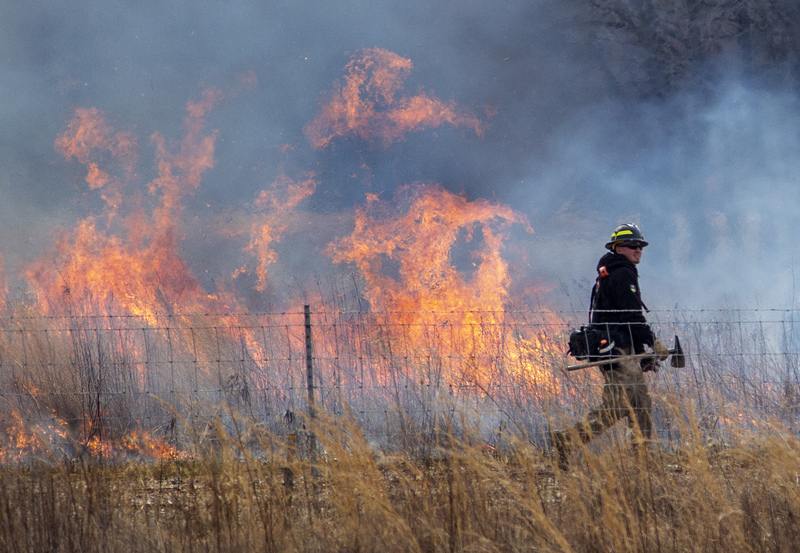 The Delaware Forest Service’s Chris Miller lays down a wet line along the fire break on a controlled burn to create a native pollinator habitat along the new stretch of U.S. 301 near Middletown.